If you wish to alter the text or images, please contact us prior to publication. For media coverage on green roofs in coastal BC and western Canada, visit the links below. Please contact us with more links if you notice that we’re missing them. For media inquiries, contact BCIT media relations. For international Green Roof news, visit Green Roofs for Healthy Cities and Greenroofs.com. Apr. 3, 2009 : Evergreen and the Microsoft Canada Development Centre dig into new sustainability research. Mar. 28, 2009 : These walls will really grow on you. Green roofs are often out of sight and inaccessible, but green walls are visible to all. Sept. 4, 2008 : Green Roofs – Living Architecture Monitor – Fall 2008. July 4, 2008 : Vertical garden. A record number of ‘living walls’ being built in Metro Vancouver as going green catches on. June 17, 2008 : Cities need to offer incentives for building green roofs. May 17, 2008 : City’s signature roof: Plan is to cover convention centre top with dense green vegetation. Apr. 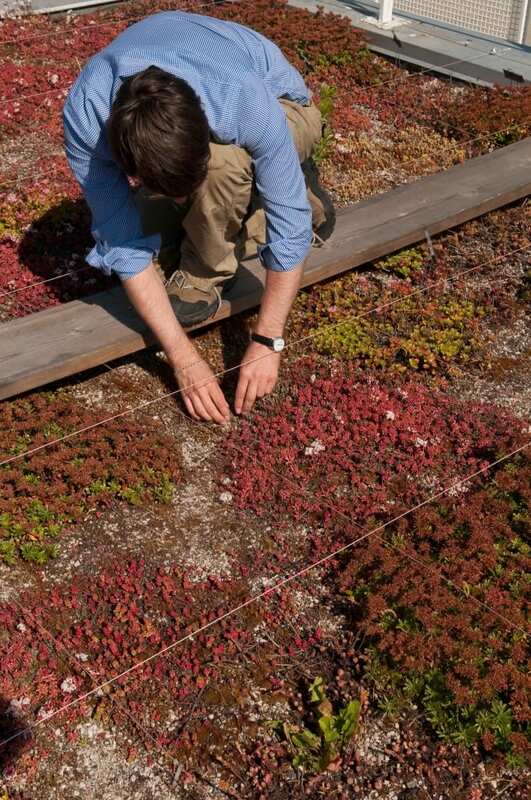 10, 2008 : Living roofs produce food, clean the air and conserve energy. Mar. 15, 2008 : New youth hostel planned for Jasper. Sept. 17, 2007 : New Community Centre in Victoria bears one of western Canada’s largest accessible green roofs. Feb. 26, 2007 : Green ideas take root at new CRD building. Apr. 19, 2007 : Insurance concerns threaten green roofs. Sept. 3, 2005 : Green roofs seed innovation. May/June, 2005 : Green on top. Construction Business. May 26, 2005 : Your city, with a garden on top. Dec. 30, 2003 : Dec. 30, 2003 : Green roof featured in CRD Stormwater Quality Program News. vol.1(2): page 4. Nov. 10, 2003 : The BCIT Green Roof Research Facility. Featured in GRHC Green Roof Infrastructure Monitor vol. 5(3): page 14.